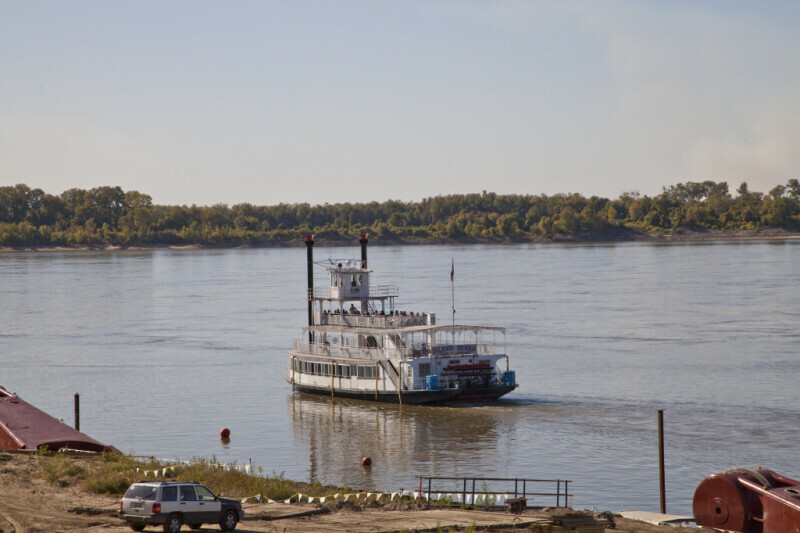 This image shows the Island Queen navigating Wolf River Harbor, near the junction with the Mississippi River. This image provides a view of the stern-wheel paddle that propels the riverboat. The boat is entering the Mississippi River.